Victoria "Smokey" Simmons stands silently on deck as her father's body is lowered into the Atlantic, asking God for the strength she will need to command the Aramis alone. Not wanting to remain at sea forever, Smokey dreams of the time when she can trade her life aboard ship for a home and family. When she meets another captain, Dallas Knight, Smokey believes her dream will finally come true. But circumstances beyond their control and the schemes of a cunning pirate threaten to destroy this young couple's hope for the future. 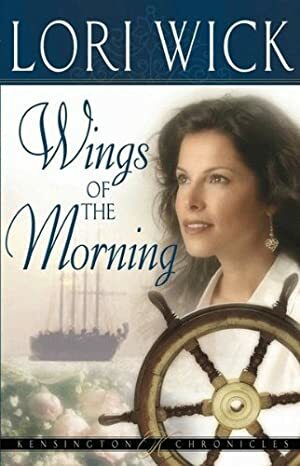 Wings of the Morning carries readers on a tender journey of love in which painful events become lasting blessings in the Father's care. Track It. This book has been $1.99 within the past year. Log In to track Lori Wick on eReaderIQ. to be notified each time the price drops on any book by Lori Wick. to stop tracking Lori Wick. We started tracking this book on June 9, 2011. This book was $9.99 when we started tracking it. The price of this book has changed 68 times in the past 2,871 days. The current price of this book is $9.99 last checked 19 hours ago. This book is at its lowest price in the past 90 days. This lowest price this book has been offered at in the past six months is $2.99. This lowest price this book has been offered at in the past year is $1.99. The lowest price to date was $1.99 last reached on August 28, 2018. This book has been $1.99 2 times since we started tracking it. The highest price to date was $13.29 last reached on December 12, 2017. This book has been $13.29 2 times since we started tracking it. We last verified the price of this book about 19 hours ago. At that time, the price was $9.99. This price is subject to change. The price displayed on the Amazon.com website at the time of purchase is the price you will pay for this book. Please confirm the price before making any purchases.